Sekkei Harada is the abbot of Hosshinji, a Soto Zen training monastery and temple, in Fukui Prefecture, near the coast of central Japan. He was born in 1926 in Okazaki, near Nagoya, and was ordained at Hosshinji in 1951. In 1953, he went to Hamamatsu to practice under Zen Master Gien Inoue, and received inkashomei (certification of realization) in 1957. In 1974, he was installed as resident priest and abbot of Hosshinji and was formally recognized by the Soto Zen sect as a certified Zen master (shike) in 1976. Since 1982, Harada has traveled abroad frequently, teaching in such countries as Germany, France, the United States, and India. He also leads zazen groups within Japan, in Tokyo and Saitama. From 2003-2005, he was Director of the Soto Zen Buddhism Europe Office located in Milan. Daigaku Rumme was born in 1950 in Mason, City Iowa, USA. In 1976, he entered Hosshinji as a layman and was ordained by Harada Roshi in 1978. 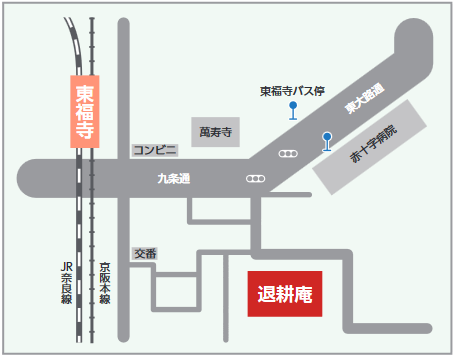 He lived and practiced at Hosshinji until 2003. On several occasions he accompanied Harada on his visits to Europe, India, and the United States, as his interpreter. Since 2003, Rumme has been on the staff of the Soto Zen Buddhism International Center located in San Francisco. Roshi Harada Sekkei is without a doubt one of the greatest living Japanese Zen masters. This book is a collection of his talks, given in Japanese and translated into English by one of his disciples that's lived and practiced with Harada since 1978. Through every talk Harada tries to explain the essence of the Self and how to realize it. He uses numerous metaphors, examples from everyday life, koans and stories from Zen history, in an attempt to demonstrate the real essence of Zen. The meaning of Zen is not easy to understand. If one tries to make a simple thing out of it (like many western authors do), it may seem easily graspable, which is not. If one tries to be a mystic (like most eastern authors are), it may seem incomprehensible, which is again not. 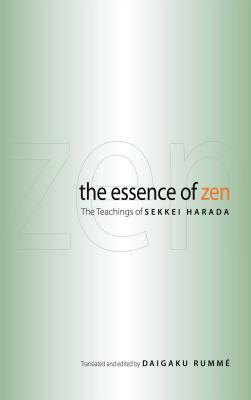 According to Harada, Zen, or The Way, Dharma, is "everyday mind", or "nothing special", or "suchness", or "as-it-isness". Sitting in Zazen is the suchness of Zazen. Washing dishes is the suchness of washing dishes. There is absolutely no doubt about it. It is as it is. It is the sense of "self", of "me", of the "I am", with its perceptions and concepts that introduces confusion to this suchness. It is not easy to see this small self and how it controls our perception of reality. As long as this ego-self plays a major role in our lives, reality will always be distorted by concepts. But once we get even a small glimpse of the world without any participation of the ego-self, we are never the same again. Harada will explain you how you can do this in an incredibly direct, sincere and understandable way. On the other hand, if you are new to Zen or spirituality in general, this book may be a little bit too much for you on the first read. Please, do not put it away and forget about it. I think Harada would give you the following advice: live your life, be the person you are, do not fake anything. Be honest to yourself and others. But at the same time put some effort into understanding Zen. Come repeatedly back to the book at some later time. Read random chapters over and over without much thinking about it. Try to sit some Zazen everyday. Just sit in peace without any goal. If you keep this routine for some time I can assure you with 100% certainty that some day you will suddenly realize that you clearly understand something that you didn't understand before. That you are not the same person anymore. Harada's words will strike you whether you're aware of it or not. There are very, very few people that understand the real meaning of Zen. And there are even fewer that are able to explain it in a way, which leaves no room for confusion in an ego-centered western mind. Harada does that with excellence. If one we were sincere enough to truly look at the world without any preconceptions about it. The best spiritual book I've ever read (and I've read many). Japanese Zen masters located in Japan rarely become familiar to the Western tongue. At the same time, few if any of them make that a plan of action anyhow. The point of teaching Zen is, in a word, the practice of servitude to all beings. Sekkei Harada is easy to relate to for people who have come to love the works of folks like Seung Sahn, Maezumi, and so on. This Zen master believes Zen is the eradication of the self that is narcissistic while searching for one's true self. You know, the themes here aren't really new or exciting, but similarly they aren't inaccurate or boring. For example, Sekkei Harada urges practitioners to cut through oppositional thinking in order to attain a more balanced and clearly defined life. So that's what I mean when I say it's not new or revolutionary. This work is like adding a slightly different perspective to something like a diamond; sure, we saw this diamond before we held it from this particular perspective, but now the understanding of it has become just that much more clear. We will never have inspected it in it's sum whole, for it's the inspections themselves that make up that entirety anyway. So while I'll admit maybe I'm becoming Suzuki's forlorn "expert" on Zen, this book isn't really very unique and probably won't stand out in your mind as one of those truly life changing works. Even still, it will certainly provide us all with a more ripened vision of our procured little diamond. 5つ星のうち5.0Discovering the Real Self. A no-nonsense approach to Zen. For those beginners in Zen and any other spiritual practice for that matter this book will encourage you to give up the "Zen sickness" of talking about Zen and thinking it to be something special. Harada Roshi skilfully, yet effortlessly in the true spirit of wu wei (non-doing which is utterly devoid of any personal aggranzizement)compassionately grinds away our illusions about Zen or any spiritual path. He illustates this with some traditional Zen anecdotes that seem to jump out of the esoteric frame we may have held them in and stare us in the face with their simplicity and obviousness. Sekkei Harada is indeed a master who time and again will remind us that our Buddha nature ( our salvation in Christian terms)is always apparent, was never born and thus cannot die. I visited Hosshin-ji myself this year and I can only verify that what had begun to dawn upon me about the simplicity of "My True Self" was` made even clearer in the course of the week I spent there. Both an excellent introduction and, for those believing they may be "advanced" an excellent exploration into the awareness that "the first step is the last step." The translator, Daigaku Rumme (Daigaku means mountain since he is like a mountain) did a first class job of translation.